2001-2002 Honda Civic, 2001-2002 Honda Accord, 2002-2003 Acura TL, 2002 Honda CR-V, 2002 Honda Odyssey, 2003 Honda Pilot, 2006 Ford Ranger, or a 2006 Mazda B-Series. The vehicles listed above are in critical condition and should not be driven unless to repair the airbags. Many other vehicles are affected as well. If you are aware your vehicle has Takata airbags, contact your vehicle manufacturer immediately for repairs. To see if your vehicle is on the recall list go to the NHTSA’s website. Hyundai is recalling select 2006-2011 Hyundai Azera and 2006 Hyundai Sonata vehicles. There may be an electrical short within the ABS Module that may cause a fire in the engine, even if the vehicle is turned off. Jeep is calling select 2018 Jeep Cherokee Trackhawk vehicles with 6.2L-supercharged engines. The fuel line may separate causing risk of incident. Ford is recalling select 2018 Ford Expedition and Lincoln vehicles. There may be an issue with the second-row window controls causing them to lose power window control. 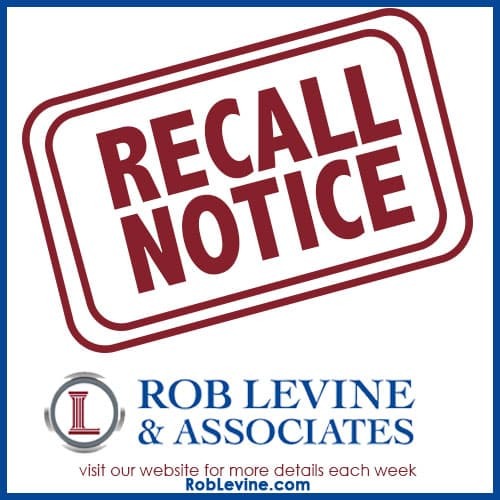 Mitsubishi is recalling select 2009-2012 Lancer, 2008-2012 Outlander, 2010-2012 Lancer Sportback, and 2011-2012 Outlander Sport vehicles equipped with either a 4B11 or 4B12 engine. There may be an issue with the drive belt, causing it to detach and for the engine to stall.